To say Range Rover can’t do any wrong at the moment has to be the understatement of the year! From being a company that just produced one car, they are successfully launching cars in every market segment possible at the moment. 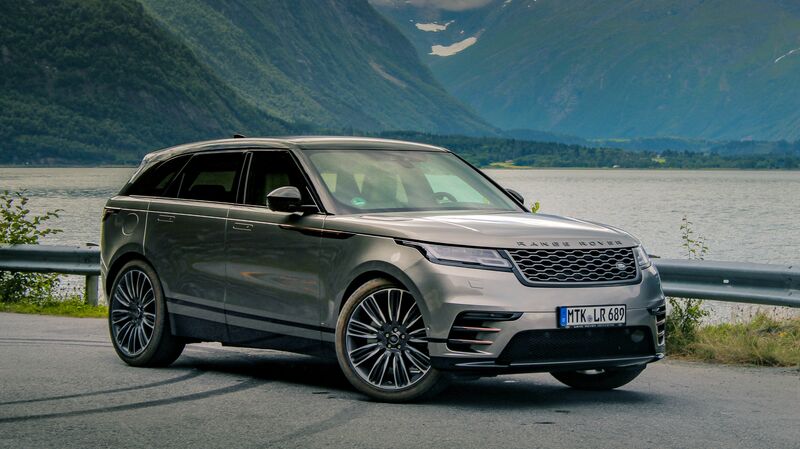 They successfully launched the Range Rover Sport and then the equally popular Evoque, both cars have sold exceptionally well and the magic looks set to continue with the new Range Rover Velar. The name Velar was ﬁrst used on badging of the original 1970’s Range Rover so it’s quite apt they’ve bought the name back! I managed to get a glimpse of this car quite a while ago, and it really has the wow factor with its stunning styling and its recessed door handles amongst other things. The car ﬁts between the Evoque and the Sport, I didn’t even realise a niche existed but with this car I’m sure they’ll have boat-loads of new customers. The designers have given the car a short front but a longer rear overhang, add a sloping rooﬂine and this car really has a presence! I drove the 3litre Diesel which by all accounts will be the best-selling car in the range, this is despite all things diesel being bad news right now. We were actively encouraged by the government to buy them but now they have the same stigma smokers have and people prefer to leave them out in the cold these days than be associated with them!! It’s a real shame really because diesels have not only great torque but they also have the added beneﬁt of great economy too. Having driven the 2litre diesel recently, I’d be tempted to order that engine over the more expensive larger one any day. Performance ranges from a top speed of 130mph to 155mph and 0-60mph acceleration ranges from 8.4-seconds to 5.3-seconds, which isn’t bad for a car nearly weighing two tonnes. Both V6 petrol and Diesel engines get the beneﬁt of air suspension and this really helps cars ﬁtted the massive 22″ alloy wheels. The car is actually based on the same platform as the F-Pace, as with the F-Pace Aluminium has been used extensively to try and make the car not only lighter but more agile too. The very fact it’s much more expensive than the Jag hasn’t stopped the army of buyers who’ve ordered the Velar. It looks really smart, especially in the range topping Dynamic Spec and with the all-important black pack, this car just looks the part! When you step inside the Velar you realise this car is a real game changer for all of the cars rivals. The top screen controls the navigation, phone and radio, the screen at the bottom controls the temperature control, along with the heated and cooling seats. The car I drove also had massaging seats the cars suspension settings are also controlled by the bottom screen. The speedo and rev counter are both digital and they really ooze quality! As you’d expect from a car of this calibre, the plastics are decent quality as is the leather, a new more expensive cloth type material from a company called Kavadrat is also available but I’m not sure how many brave buyers have opted for this? It’s quite a strange but it has a nice feel to it if that makes any sense at all. The car I drove was ﬁtted with autonomous braking, lane assist, blind spot assist and the excellent matrix led headlights. With all this help it sounds like the car is capable of driving itself! It was also ﬁtted with park assist, which was quite handy as the cars’ rear screen is quite hard to see out of, especially with the thick pillars at the back. The Velar is no way as agile as the Porsche Macan, it feels a bit bulky and awkward even when driven in dynamic mode. Driving the car in this mode does stiffen up the suspension and it also makes the gear changes and throttle response much sharper too. Maybe it’s to do with my age, but I much preferred driving the car in Comfort Mode, it just makes the car much more relaxed and a more enjoyable place to be. The car has good headroom in the front and rear but legroom is limited for passengers in the rear. The rear seat can be split in a 40-20-40 conﬁguration and the boot space is a decent 673 litres, that was more than enough space for a few suitcases and weekend bags galore. The Velar is priced from £44K, but once you start ticking the boxes on the spec sheets, most cars will cost well over £70K which is dangerously close to the Sport, which let’s face it, is a bigger more practical car. While I drove this car, loads of people came over and asked questions about it, the consensus was that it is not only very good looking, despite its rather high price, it’s going to sell like hot cakes and Land Rover have another cash cow on its hands. Car courtesy of Stratstone Land Rover Sunderland.